When I talk Victorian Ghost Stories, the short stories that spring to mind are those of MR James (of which his best are Oh Whistle and I’ll Come to you my Lad, the Mezzotint and Number 13), although there are many others who wrote in the genre, such as Walter de la Mare, as well as later authors such as Henry James (The Turn of the Screw) and even Susan Hill (the Woman in Black). The protagonist in a Victorian Ghost Story is typically a gentleman and a scholar, often a bachelor or widower, alone in some strange place on business. This strange place might at first seem innocuous, but it is oft unsettling and forboding – bleak and isolated, ill thought of and with some dark happenings having occurred in its past perhaps. The ghost of the piece does not necessarily conform to our traditional view of a ghost – it is not always the apparition or undead creature, as the strange creature made of cloth in Whistle is evident of. 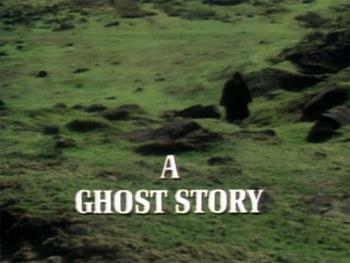 And whereas a modern ghost story might demand some manner of resolution or closure, a Victorian Ghost Story rarely ends so. The protagonist often escapes, but badly shaken and scarred, yet the matter is unlikely to be resolved, the ghost not laid to rest. The machinery of the supernatural, as James once put it, remains unseen. The titular monster is most likely to be a Formless Horror (Dead of Night p68) or Vengeful Dead (p54) although I’d be tempted to lose its Vulnerability and play up the psychological threat over the physical as the ghost does not normally harm its victims. There are exceptions, of course – just take a look at the Woman in Black to see how the threat switches between psychological and physical violence, even if it’s not always aimed directly at the protagonist. Within a Victorian Ghost Story, survival point loss could represent sanity loss and startling revelations, the entity taking an increased attention to your character or even the untimely demise of other victims (either in the present or, via flashbacks or other ghosts, in the past). Tension Point Circumstances: can only be spent to increase Identify and Pursue checks – revelations come thick and fast, but there can be no escape. Intensity: Any amount – the tension in a Victorian Ghost Story often goes from the horrific to the mundane very swiftly indeed. Starting Tension: 3 or 4, although it starts innocuously enough, the set-up is fairly forboding. Mood: Claustrophobic, isolated and forboding, with sinister goings on and suspicious circumstances at every turn. So there you have it – an early Christmas present for all you Dead of Night fans looking to get into the festive mood. And, if ghost stories aren’t your cup of tea, the Christmas-themed slasher movie adventure, Night of the Santa Claws, that I wrote for 1st ed is still available at RPGNow. What’s your favourite ghost story?